Children of God for Life is calling on the public to boycott products of major food companies that are partnering with Senomyx, a biotech company that produces artificial flavor enhancers, unless the company stops using aborted fetal cell lines to test their products. 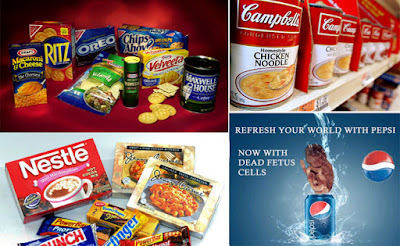 In 2010, the pro-life organization wrote to Senomyx CEO Kent Snyder, pointing out that moral options for testing their food additives could and should be used. 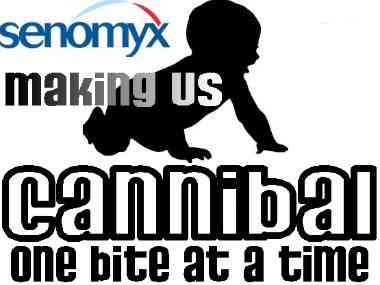 But when Senomyx ignored their letter, they wrote to the companies Senomyx listed on their website as “collaborators” warning them of public backlash and threatened boycott. Food giants Pepsico, Kraft Foods, Campbell Soup, Solae and Nestlé are the primary targets of the boycott, though Senomyx boasts other international partners on their website. Senomyx notes their collaborators provide them research and development funding plus royalties on sales of products using their flavor ingredients. “What they do not tell the public is that they are using HEK 293 – human embryonic kidney cells taken from an electively aborted baby to produce those receptors”, stated Debi Vinnedge, Executive Director for Children of God for Life, a pro-life watch dog group that has been monitoring the use of aborted fetal material in medical products and cosmetics for years. “They could have easily chosen COS (monkey) cells, Chinese Hamster Ovary cells, insect cells or other morally obtained human cells expressing the G protein for taste receptors”, Vinnedge added. In writing to their collaborators, it took three letters before Nestlé finally admitted the truth about their relationship with Senomyx, noting the cell line was “well established in scientific research”. After hearing Ms Vinnedge speak publicly on the problem, angry consumers began writing the companies. Both Pepsico and Campbell Soup immediately responded. While Campbell did not state they would change their methods, still their response, gave Vinnedge hope. “If enough people voice their outrage and intent to boycott these consumer products, it can be highly effective in convincing Senomyx to change their methods”, she noted. Need proof of Senomyx use of aborted fetal cell lines? As it is lengthy and technical, we recommend you simply do a search in the document for HEK-293. HEK CELL (Human Embryonic Kidney 293 cells), also often referred to as HEK 293, 293 cells, or less precisely as HEK cells are a specific cell line originally derived from human embryonic kidney cells grown in tissue culture. HEK 293 cells are very easy to grow and transfect very readily and have been widely-used in cell biology research for many years. They are also used by the biotechnology industry to produce therapeutic proteins and viruses for gene therapy. Below is a list of products that contain HEK cells. 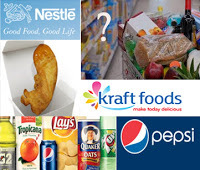 At this time we are formally boycotting PepsiCo products, however many have asked us for lists of the other companies involved with Senomyx and what products are involved. Unless we know a certain product or brand name specifically, we intend to boycott all of the company’s products. This company produces anti wrinkle creams that contain cells from a 14 week gestation aborted malebaby. Following is the list of the creams, but we recommend a full boycott of all Neocutis Products. currently not available for Measles and Mumps. Pro-life groups joining CGL in the boycott to date are: Life Issues Institute, American Life League, Colorado Right to Life, American Right to Life, Sound Choice Pharmaceutical Institute, ALL Arizona, Central Nebraskans for Life, Pro-Life Waco, Houston Coalition for Life, Mother and Unborn Baby Fox Valley, Womankind, Billboards for Life, Movement for a Better America, Defenders of the Unborn, Focus Pregnancy Help Center, Idaho Chooses Life, EMC Frontline Pregnancy Centers of NY, Four Seasons for Life, CREDO, Life Choices, STOPP Dallas, CA Right To Life, Human Life Alliance, International Right to Life Federation, Operation Rescue, Pro-Life Nation, LifeNews.com, and Mary’s Outreach for Women. To be clear, the aborted fetal tissue used to make Pepsi’s flavor chemicals does not end up in the final product sold to customers, according to reports — it is used, instead, to evaluate how actual human taste receptors respond to these chemical flavorings. But the fact that Pepsi uses them at all when viable, non-human alternatives are available illustrates the company’s blatant disregard for ethical and moral concerns in the matter. HEK 293 cells were generated in the early 70s by transformation of cultures of normal human embryonic kidney cells with sheared adenovirus 5 DNA in Alex Van der Eb’s laboratory in Leiden, The Netherlands. The human embryonic kidney cells were obtained from an aborted fetus and originally cultured by Van der Eb himself; the transformation by adenovirus was performed by Frank Graham who published his findings in the late 1970s after he left Leiden for McMaster University in Canada. They are called HEK for human embryonic kidney, while the number 293 comes from Graham’s habit of numbering his experiments; the original HEK 293 cell clone was simply the product of his 293rd experiment. Please share blogs and help spread information Crusaders! TradCatKnight is the most viewed & followed traditional catholic page worldwide. This is the HOME of the New Crusade keeping you up to date on the latest Endtime News stories worldwide as we head closer to the GREAT CHASTISEMENTS foretold by the Blessed Virgin Mary at Fatima. Monthly raffle. Minimum contribution is 20$ for the raffle. Winner announced on every last radio show of the month! Does Nestled hot cocco use the cells? It wasn't on the list. But I should stop using it anyway. I just threw away my Trident. This issue sickens me. St. John Vianney, "IF MAN KNEW HIS RELIGION"
Saint John Vianney, "YOU CAN BECOME A GOOD TREE"
RARE Father Hesse Video, "IS THE NEW MASS VALID?" VIDEO- Gerald Celente, "Psychopaths rule us!" Kasper Strikes Again! Novus Ordo "Mercy"
TradCatKnight Radio: "Papalism: Pope Worship"
Novus Ordo: More Gaia Worship?